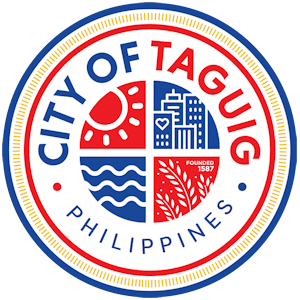 Taguig will be marking the 14th cityhood anniversary this December 8. On that day in 1998, President Joseph Estrada signed Republic Act 8487, the law that paved the way for Taguig’s conversion into a city. President Benigno Aquino III is expected to declare the said day, which this year falls on a Saturday, as a special non-working holiday just like last year through Proclamation 298. The city government may also issue a declaration to that effect on its own. Formerly a part of Rizal province, Taguig became a part of the National Capital Region in 1975 through Presidential Declaration 824 which was crafted by then-President Ferdinand Marcos. 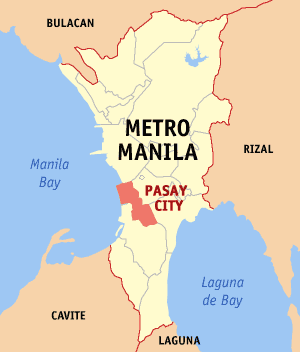 A year after the passage of RA 8487 in 1998, a plebiscite was conducted to determine whether the residents of Taguig are willing to have their municipality converted into a city. 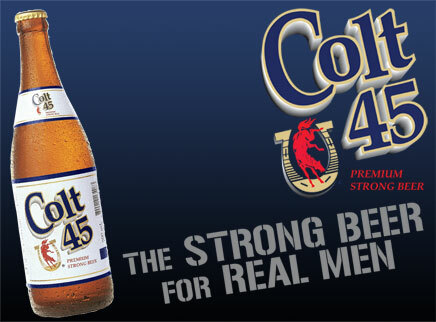 The initiative narrowly failed, and the plebiscite result was challenged before the Supreme Court. 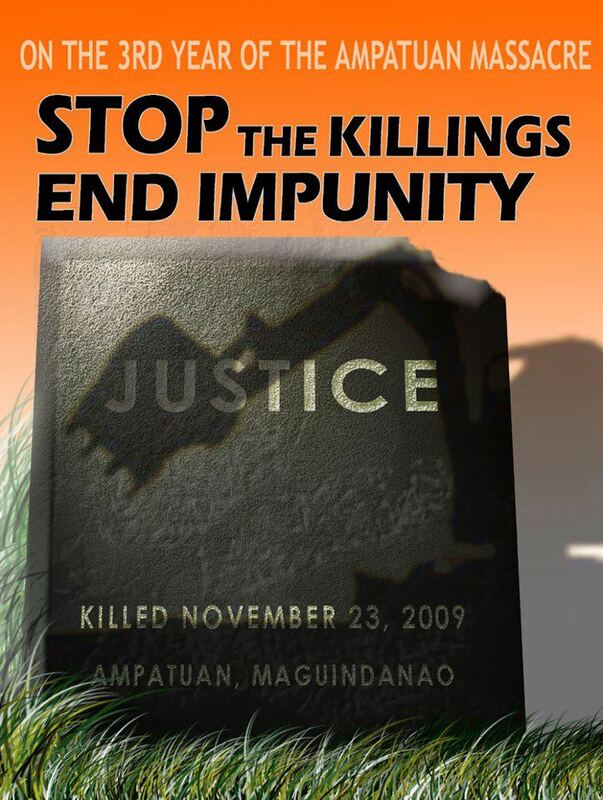 The SC, after almost five years, decided that those in favor of converting Taguig into a city actually won the vote. This decision was reaffirmed by the high court in a 2006 ruling. UPDATE, 12-07-2012 (2PM)-> In response to a phone query, the office of Mayor Lani Cayetano said that Malacanang is yet to issue a proclamation declaring December 8 of this year as a holiday although the city will mark its foundation anniversary tomorrow with a fireworks display in Lower Bicutan by night time. PERSONAL: The Filipino Scribe is nominated to receive the People’s Choice Award in this year’s edition of the Pinoy Expats/OFW Blog Awards (PEBA) – OFW Supporter category. Visit PEBA’s website (www.pinoyblogawards.com) and check out this part in the page’s right side to vote for us (we are nominee #8). Thank you so much in advance! 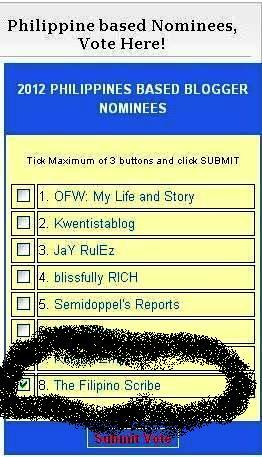 No Philippine Blog Awards for 2012, but VOTE FOR ME! 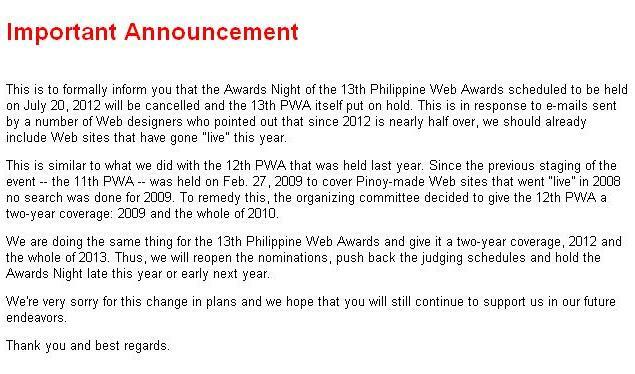 Like the Philippine Blog Awards, the Philippine Web Awards will not be held this year. On this day a year ago, I was notified by the organizers of the 7th Annual Population and Development Media Awards that I will be getting the Best Text Blog Award for 2011. That’s the first time that the said award-giving body recognized bloggers in the same league as their counterparts from the traditional media. Unfortunately, the Philippine Legislators’ Committee for Population and Development hasn’t expressed any intentions to organize the event this year. This decision is disconcerting knowing how much the reproductive health bill issue dominated the news cycle this year. SHAMELESS PLUG: The Filipino Scribe is nominated to receive the People’s Choice Award in this year’s edition of the Pinoy Expats/OFW Blog Awards (PEBA) – OFW Supporter category. 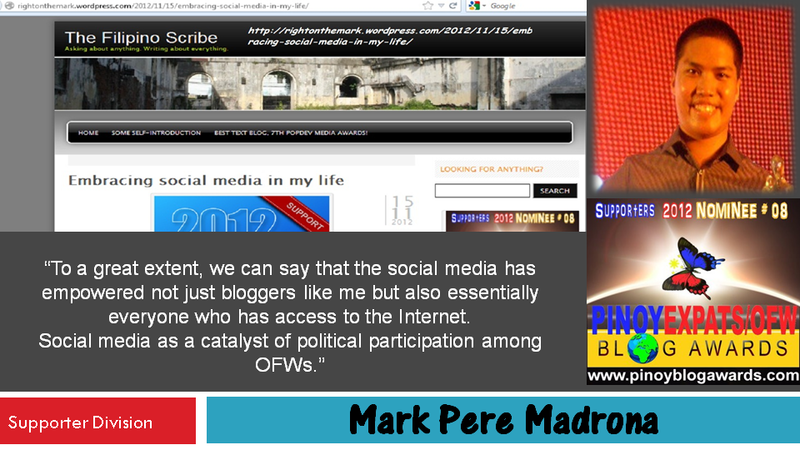 Visit PEBA’s website (www.pinoyblogawards.com) and check out this part in the page’s right side to vote for us. Thank you so much in advance! The Filipino Scribe is nominated in this year’s Pinoy Expat/OFW Blog Award. Please vote for us in this link – http://www.pinoyblogawards.com/!